BeckerTime is proud to offer this handsome Men’s 36mm GENUINE ROLEX Solid 18K Yellow Gold Datejust Watch ref #16018 with a custom refinished Black Onyx Dial. 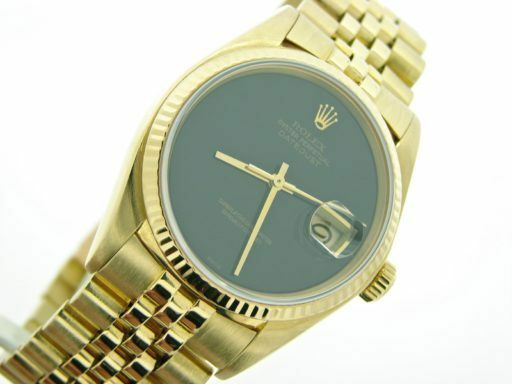 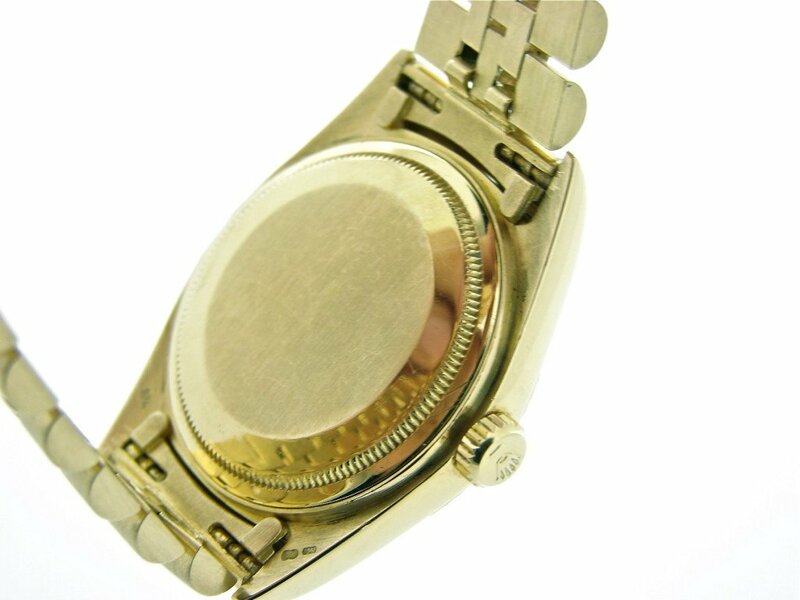 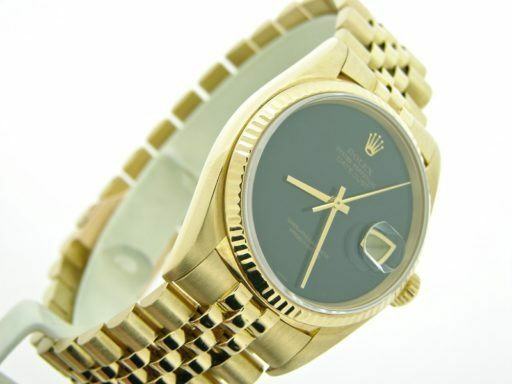 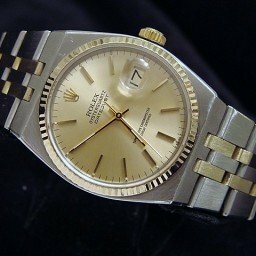 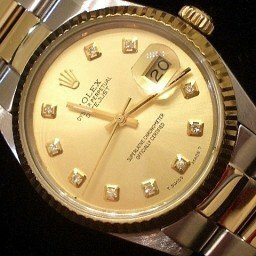 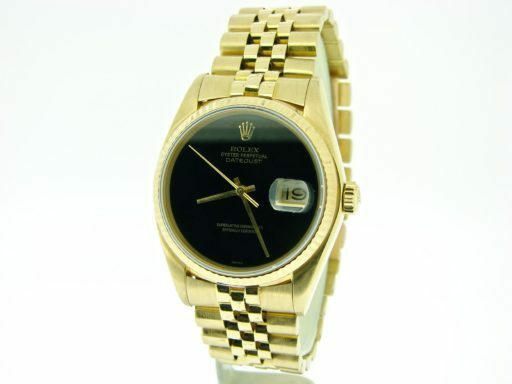 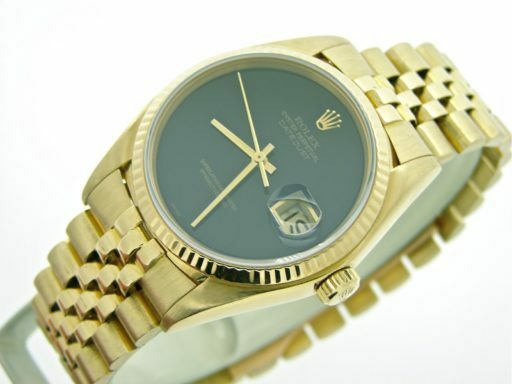 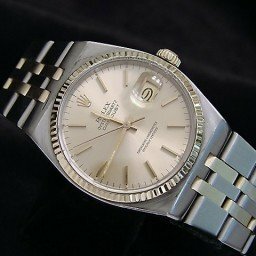 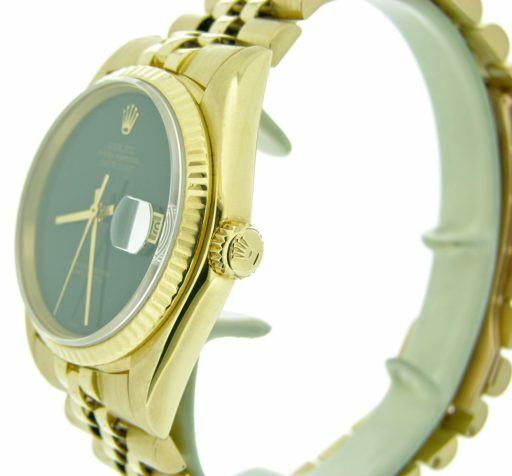 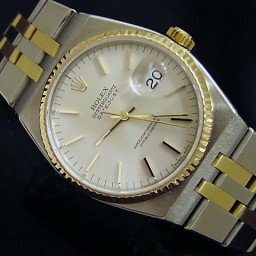 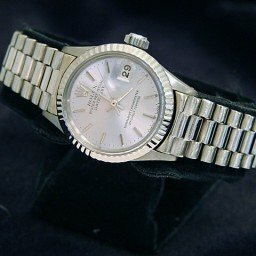 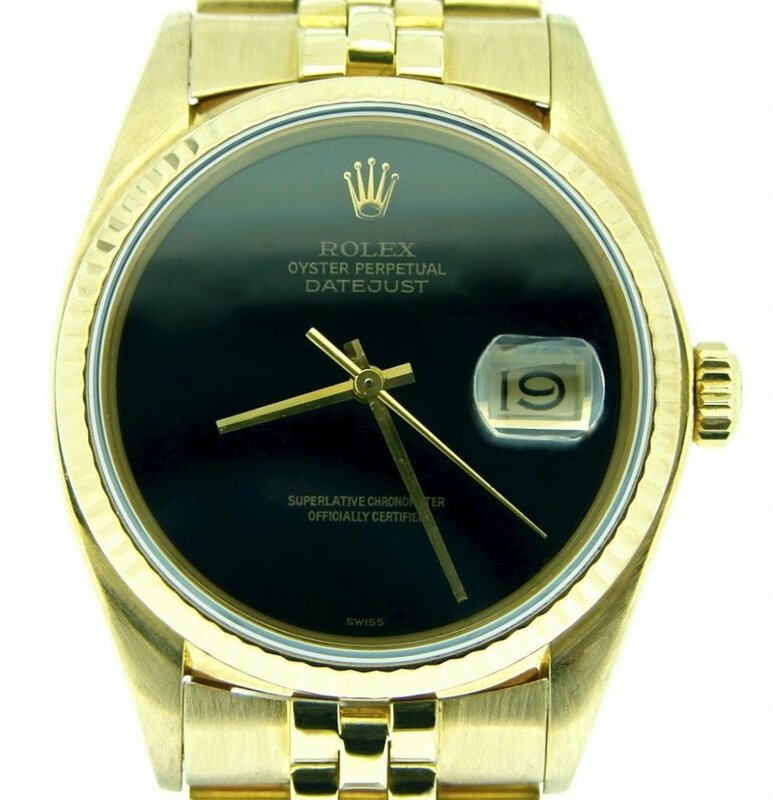 This GENUINE ROLEX is the desired QUICKSET MODEL and has a Rolex solid 18K Gold Jubilee band with hidden clasp. 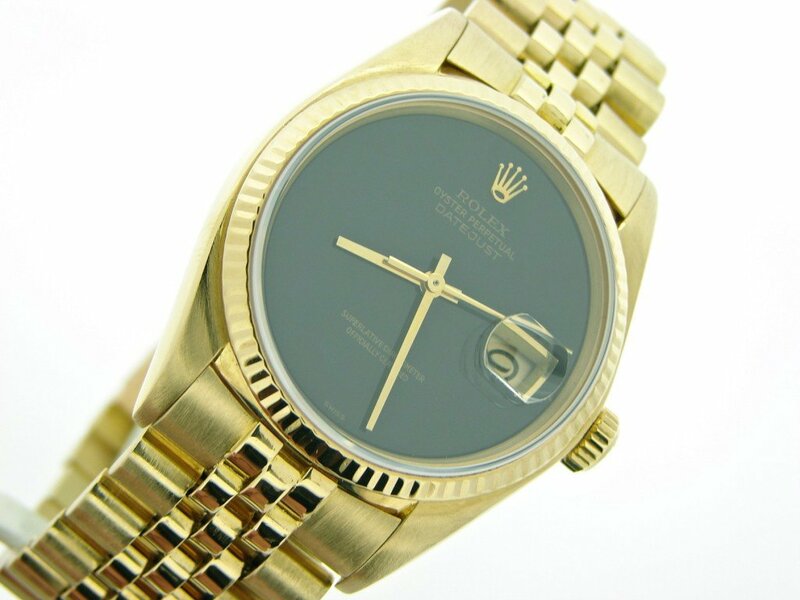 Dial Rolex dial has been professionally refinished with custom added BLACK ONYX and yellow gold trim. 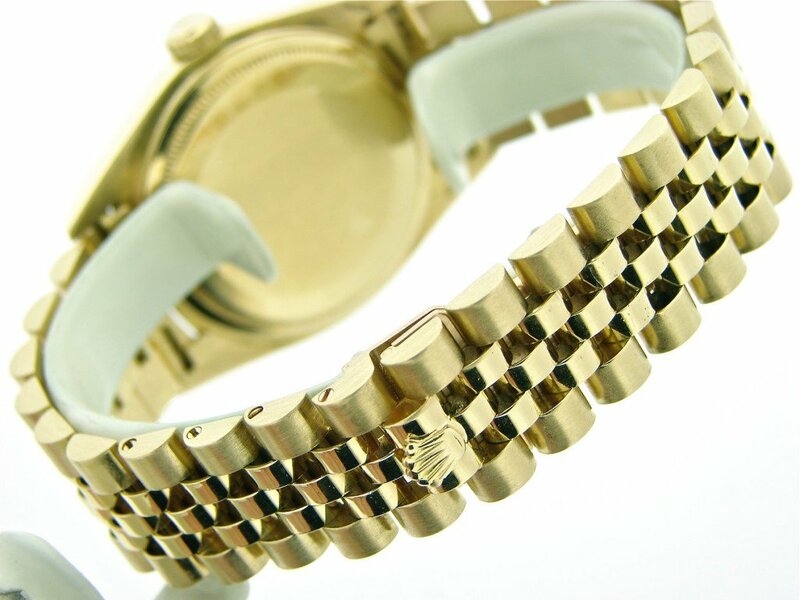 Band Rolex 18k yellow gold Jubilee bracelet with Rolex signed hidden clasp is in excellent condition with some stretch between the links.